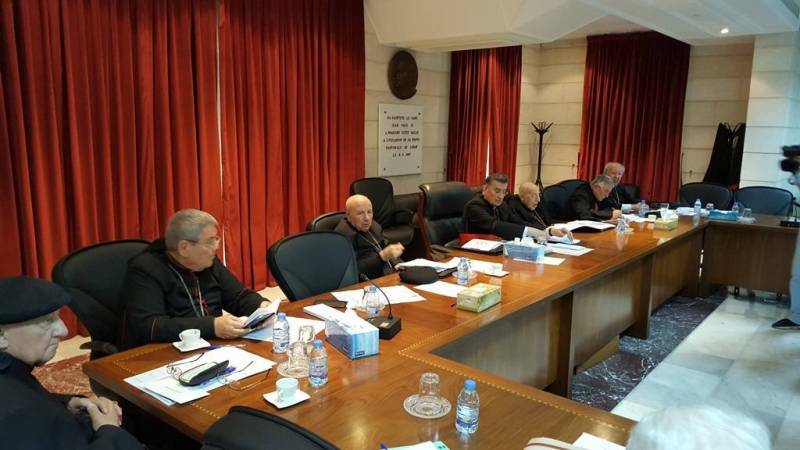 At the end of the monthly assembly the Maronite Church expresses concern for the internal political situation. Words and verbal confrontations can hurt "more than bullets". A cabinet is needed before Independence Day, one that is "free from both local and foreign constraints". 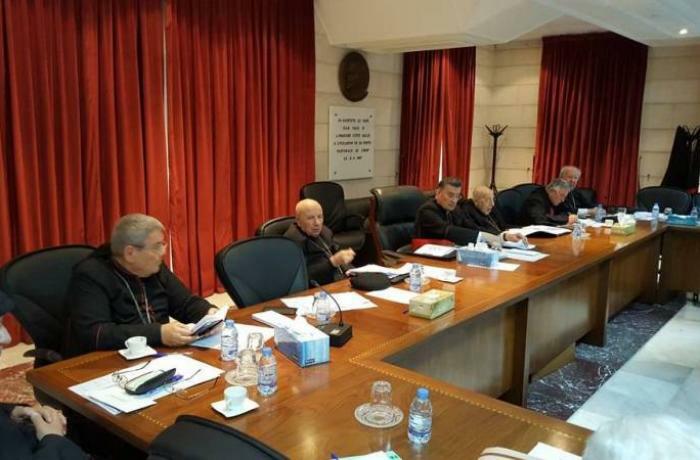 Beirut (AsiaNews) - A catastrophic picture has been painted of the internal situation in Lebanon yesterday in some passages of the final communiqué of the Assembly of the Maronite bishops at the end of their monthly meeting. The prelates, led by the Patriarch launched the alarm for an "internal war" that brings to mind the clashes preceding the signing of the agreement of national understanding or Taëf [which put an end to the various wars that followed in Lebanon from 1975 to 1990, ed.]. And they stress with concern that "words can have the same effect as bullets". Faced with a complex and alarming situation, the Assembly appealed for the formation of a government before the independence day celebrations. The prelates also denounce the "foreign interference" that have recently blocked the formation of a new executive. To begin with, the Assembly denounced the “obstacles facing the formation of a new government” saying these must be urgently overcome, “in a spirit of national responsibility and ethics". They note with sadness that "the spirit (of the Lebanese people) has been annihilated by yet another eleventh-hour problem that has interrupted the government formation process" and hopes that its birth will be offered to the Lebanese as "a gift for the Independence Day "of 22 November. The Assembly criticized the bartering of ministerial portfolios which have been a source of division. They call for the formation of a "homogeneous" government, asking the various ministries "not to act alone, as if they were the absolute masters of their function", and to those who have the task of "making decisions for the community" to not " distort justice, so that the law is not applied in a discretionary manner ". In anticipation of a "future government free from both local and foreign constraints", the bishops have appealed to the government to carry out current affairs in a dynamic way "to regulate, as far as possible, the affairs of the state and citizens, in particular regarding their daily life and problems related to electricity, pollution, the environment, etc ". "The internal war continues through the media", underlines the Assembly, which declares itself "worried about the violent verbal escalation that manifests itself through the media, as well as on social networks". "It is as if the internal struggle - they say – that has not stopped following the 1989 agreement the goal of which was to put an end to it". "The verbal exchanges between barricades in the media - the statement strongly notes - are certainly no less dangerous than bullets, moreover they open the path for them, something that the Lebanese strongly reject". "This is why - concludes the text - the Assembly implores the parties concerned to fear God and respect each other and to engage in dialogue, especially because internal closures are produced in more than one sector, not to mention the negative regional developments that threaten to unfortunate consequences of the free decision and the interests of Lebanon and the Lebanese ".